Today was an unseasonably hot fall day. The rest of the world was out of school for Columbus Day, so we decided to work hard all morning so we could go to the corn maze this afternoon. We had not been to this place before even though it’s not that far from our house. So, we were expecting a corn maze. You know… a little maze where you run through the corn stalks for five minutes, take a couple of wrong turns and then you are at the exit. Right? Wrong. When they say this is a corn maze, they mean it is a CORN. MAZE. As in, you will get lost. You better use your map. And if you don’t have a map there is no chance you will ever figure out what you are supposed to do or how to get through it. 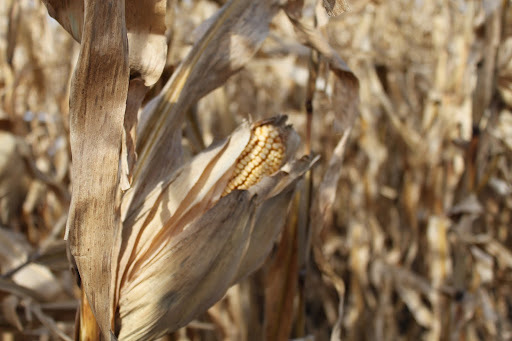 The field of corn is 12 acres and is broken into three mazes. When we got there, we saw a bin full of maps and crayons. I told the kids the “map” seemed to be a coloring sheet with a maze we could do on the way home. Then I realized, the maze WAS the map. And once inside the maze, I realized our only chance of survival was to slowly and deliberately study the map and follow it carefully. At first, I told the kids that all we needed to do was stay to the right and we would find our way through the maze. After wandering around aimlessly for about 20 minutes, I realized this was not going to work. This maze had so many opportunities to turn, we soon found out we had no hope of using this method. 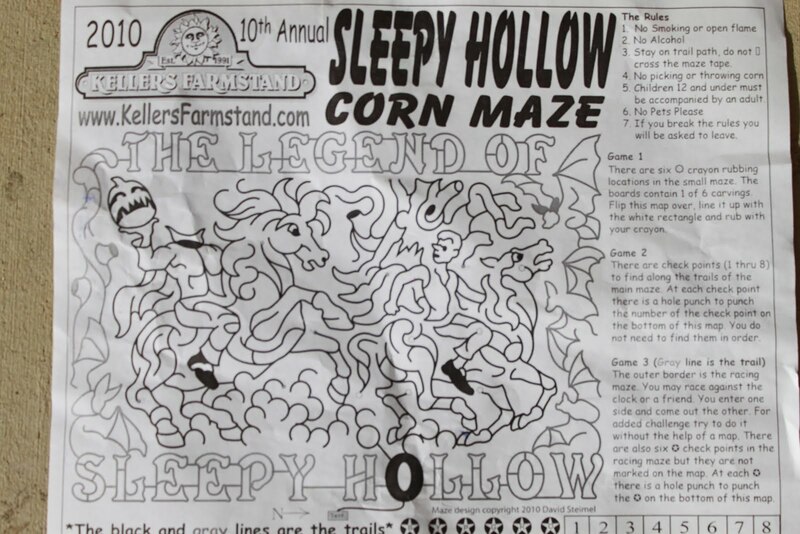 Next, I thought we needed to use our crayon to work our way through the maze on paper and then follow that path through the corn. FINALLY, I read the directions! The goal of the maze was to locate six coloring stations where we would use our crayons to rub a design on the back of the paper. We needed to walk ALONG the black lines. They didn’t represent the outline of a path. They WERE the path. NOW, we were starting to make some progress. We were getting really, really hot. It might be Oct. 11, but it felt like Aug. 11. We were covered in sweat and needing a break from the hot sun. Baby was starting to get really irritable being bounced around the path in her stroller. But we were determined. Finally, we found all six of our coloring stations and completed our pictures. We all wanted to try the other two mazes and a few of the other fun activities at the farm, but we decided we would have to come back on a MUCH cooler day! (Sorry, my photo keeps uploading this way, even though I turn it 90 degrees!) We did have a blast and came home with 3 pounds of honey, some cherry salsa and blueberry jam just to make the trip complete. So, what kind of fun did YOU have today? No way! I can't believe we didn't make plans to go together! What time were you there? We were there from about 1 to 3:30. We were sooooo hot! FUN! I've always wanted to do that. We went to visit some friends near the lake. We went to the park…when I got out of my car, it was 79 and sunny. Two hours later, it was foggy and 60. So Fun! We will have to meet up with you guys there when it gets cooler (are you up for another visit?!? )This weather is driving me crazy!